Brake repair Pasadena that stands above the rest. 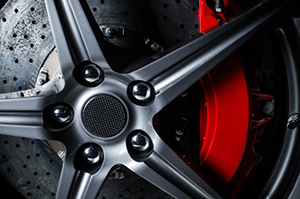 Do you need brake repair or brake service on your vehicle? If you are the Pasadena area in your time of need, come to the Accurate Autoworks auto repair facility. Brakes are extremely important. Brakes are what keeps you and your passengers safely stopped and able to avoid collisions, obstructions, and other hazards. Brake repair and brake service only take a little time, so why not come into our auto repair shop today for a quick brake service and brake repair inspection...just to be extra safe? For brake repair and brake service from an auto repair shop you can trust, come to Accurate Autoworks in Pasadena. Our technicians will fully inspect your vehicle and recommend the needed brake repair and brake services to make sure your vehicle is in tip-top shape. We are conveniently located at 26 North Hill Avenue, Pasadena, California. For priority service, we recommend you request a brake repair or brake service appointment online or by calling Accurate Autoworks at (626) 584-6632.